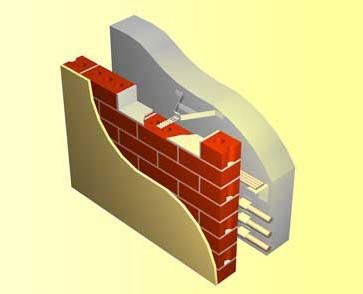 The MB range of resilient wall ties are a structural connection that reduces airborne and impact noise passing through masonry walls. They are particularly suitable for the discontinuous construction of existing masonry or stud separating walls for apartments, villas & duplexes and any specialised room that requires high acoustic isolation such as cinemas, auditoriums and recording studios. 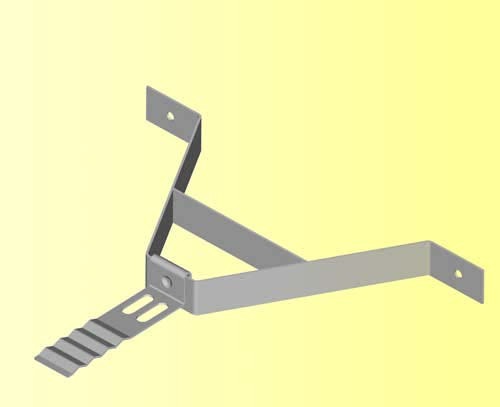 The Matrix MB05 was developed to satisfy the need for a resilient masonry tie for wide gaps. Can be manufactured for any masonry gap wall. Can be used to reduce mid-span deflection. Pre punched holes for either two nails or two Teks screws. Maximum lateral load: 0.25 kN. Maximum deflection of resilient material: 2.3 mm. Poron 4701 cellular urethane foam. Generally at 600 mm centres horizontally.